She also couldn’t take her eyes off of Samantha. The lean eighteen year old with thick caramel brown curly locks, darker than her own intense auburn hair, appeared to have a special bond with Devon. They seemed to almost finish each other sentences. Madeleine’s eyes are repeatedly drawn to the young woman. She carried herself as though she didn’t have a care in the world, and easily made conversation with the diverse group of individuals. Madeleine deduced that there were at least six different cultures represented there. Still, here attention kept meandering back to Samantha. A tinge of jealously began to surface. She felt it pricking at her, like small pins being used to hem the edges of her soul. Madeleine shakes her head hoping it will dispel any negative thoughts, and feelings, all at once. Suddenly, Devon slips in next to her after animatedly telling a story on his feet. “Hey! You okay?” Devon stared into her eyes searching for her true, and immediate feelings. “I know that this bunch can be overwhelming, but they are harmless.” His grin warmed her, filling in any spaces of loneliness amidst this group. Surprised by her own new feelings she shifts her body ever so slightly away from Devon. Her heart racing, she gestures to stand up. “Um…Devon, I…um…should get going.” Madeleine is half way up from the community bench, her knees bent, with an apologetic look on her face. “I am having a good time…It’s great to meet your friends, but you know how my parents are about um…punctuality.” She is fully standing at this juncture, using her body language to petition to Devon to let her pass him. Devon stands and faces Madeleine, blocking her from slipping pass him. “See! I knew something was up. Too much too soon, huh?” Devon is playful, grinning from ear to ear. “At least let me walk you home.” Devon’s voice couldn’t have sounded any kinder right then, and there as far as Madeleine was concerned. “Oh Com’on! Okay. I am not taking no for an answer, you know?” Devon cleared the way, and let Madeleine by. She slips out easily, gently waving to the others who one by one began to notice that she was leaving. “Are you leaving already?” Samantha jumped up and drew closer to her from the other side of the communal table in the pizza shop. “You just got here! So, when are we going to see you again?” Samantha smiles broadly, radiating a natural beauty that makes Madeleine want to fade into the background. Somewhat intimidated, Madeleine attempts to present her case to Samantha. “Um…I just have lots to do. You know?” Madeleine begins to feel the words coming more easily. “Not sure when I will see you guys again. We’ll see.” Madeleine forces a smile at Samantha, the young adults seated, and then at Devon on her left, hoping she’s sold her position well. “So…I’ll see you guys. Thanks again. It’s been great! Goodbye.” Madeleine waves at the crowd, and starts moving toward the door, still unable to make a clean getaway. Devon stares at Madeleine, almost sympathetically. Eventually he stands aside, allowing Madeleine to slip by. “Alright then, if you must.” Devon relents shaking his head, unable to get it straight as to what else it would take to convince Mads that she can trust him. She can trust his friendship. “So like I said, I’m not taking no for an answer.” Devon begins to follow Madeleine out of his group’s popular hangout spot. She looks back over her shoulder. Her stomach turns just a bit. She keeps walking forward. When she clears the store’s entrance she turns around to face Devon on the sidewalk. “Seriously! I’m good. I can make it home alone.” Madeline didn’t mean to sound as firm as she did. “I mean…please go have fun with your friends.” Madeleine hopes her second attempt worked to accomplish her, now very familiar, escape. She held her breath waiting for him to respond. “Here’s the thing Mads, I get it. Maybe I should have had you hang out with just Sam and I at first, then introduced you to the larger group.” Madeleine swallows hard. Her suspicions are being confirmed by the second. Samantha is someone special to Devon. “It’s cool.” Madeleine is anxious to leave. “I got to go. Bye Devon.” Madeleine smiles sweetly at the young man whose brilliant brown eyes she’s grown fond of looking into now. She begins to twist her shoulders, motioning to walk away again. This time Devon tugs her left wrist, with his right hand. “Mads, I think you should chill with a bunch like this. They don’t mean any harm. Seriously.” Devon is sincere. He is intent on selling her the idea of friendship again. Madeleine can’t help but search Devon’s eyes for what seemed like a very long thirty seconds, or even a minute. She had to know if he was really as nice as he seemed. Can he be trusted? Can she let her guard down? Can she let him in completely? “Oh really?” Is all she could manage to respond. Ahem. Madeleine clears her throat. “Devon, I don’t know…um, can I think about it?” Her eyes are wide. They’re pleading with Devon to understand her position. Pleading with him to give her the space she needs. Devon studies Madeleine closely too. His faith dictates that he look out for the opportunity to guide the loss back home. He terribly hoped that Madeleine could see he has no schemes up his sleeves to hurt her, in the least bit. “Please.” She makes one last effort. Devon takes Madeleine’s two hands into his, and stares empathetically into her jade green eyes. “I understand. You think about it.” Madeleine’s stomach makes a complete flip. Ba-dum, ba-dum, ba-dum. Her heart races, the sound growing louder, and louder filling her ear drums. She can’t take it. The sound of it, as though her chest was near exploding. She pulls her hands away with a strong force, and stares at her feet. A somewhat startled Devon pauses and watches the young woman across from him for a long while. Madeleine’s eyes are fixed on the ground. She can’t bear to look up at him just yet. Like a message from the heavens, it dawns on Devon that he has perhaps gone too far? He takes one step forward to present his case. Madeleine immediately takes one step back barely looking up at Devon. Devon stops. His eyes are still fixed on Madeleine, carefully observing her body language. Not quite sure what to say or do. He makes an attempt anyway. “Um…Mads, are you okay?” Madeleine desperately wants to run away, as usual, but this time the touch of Devon’s hands has left her somewhat paralyzed. She takes her time, trying to calculate the correct reply or next move to make. She swallows long, and slowly. “I am okay. I just need to head home. I…I think I may be coming down with something. Don’t want to spread it.” Her words are calculated, accompanied by strained laughter. Eventually she looks straight into Devon’s eyes. “Got to go Devon. I’ll see you…Thanks. Bye.” She’s assertive but with kind. She inches away still facing Devon for a few seconds, then turns and walks away briskly leaving Devon staring on, transfixed. He isn’t quite sure what he should do. He genuinely wants to help Madeleine. He wants to help her to break down her walls, and let community in. The right sort of community. Individuals who acted out of a sense of purpose, rooted in faith. But had he gone about it the wrong way? He truly…truly wondered. Madeleine is fun. Madeleine is intelligent. Madeleine loves graphic novels, just like him. Madeleine is lonely. 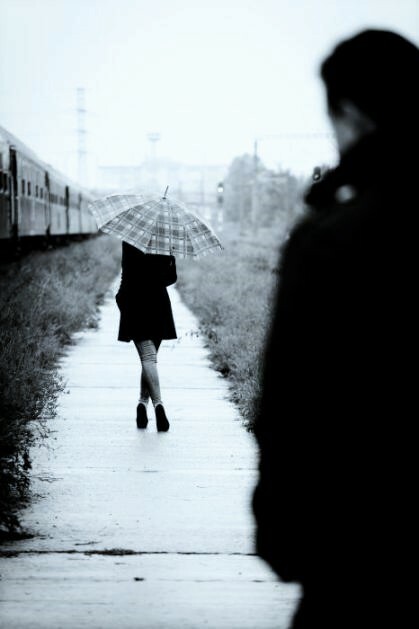 As he stood watching her walk away alone, he strongly considered whether his intentions for gaining her friendship were purely to help a lonely, and hurt girl find true friendship again, or whether it was something else.